Special opportunity in sunny South Florida to buy a timeshare in top-notch condition in popular Palm Beach Shores Resort & Vacation Villas! Call 919 428 9840 for price. Located on Florida’s exclusive Singer Island, Palm Beach Shores Resort & Vacation Villas provides the ultimate vacationer’s paradise. A favorite destination for those visiting the Palm Beach area, the island is bordered by the Atlantic Ocean on the east and the Florida Intracoastal Waterway on the west. 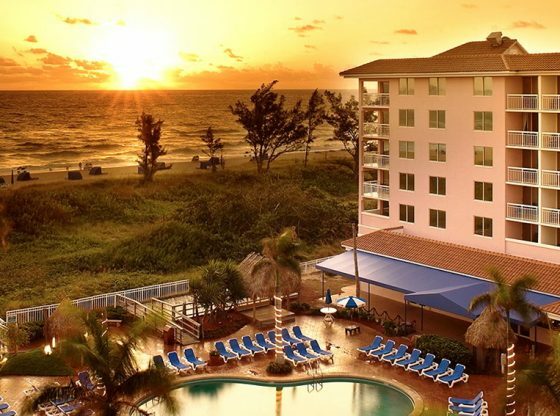 Awake each morning to scenic views of the Atlantic Ocean, Singer Island or the courtyard pool area then relax in the sun on the resort’s picture postcard beach. Explore full-service resort amenities including a swimming pool, spa, fitness room, whirlpool, kid’s club and poolside tiki bar and restaurant. Information in this listing has been provided by the seller and third parties, and is subject to change without notice. Buyer must independently verify this information, and we assume no responsibility for its accuracy or completeness.